Pretend play sharpens children’s language skills even when they play alone. If you have ever watched a child play with a doll, toy horses, action figures and such, you will notice them talking to the figurines, making up scenarios, and telling stories. The practice of their verbal language skills, even when they play by themselves, increases their communication in social interactions. Playing alone also increases their independence as they realise they can entertain themselves. Pretend play with other children enhances their social skills because they learn to take turns and share. They learn to listen to each other, cooperate and the value of teamwork. Children also learn that they can’t have their way all the time. The social skills they learn through pretend play will help them assimilate to school, sports, and even the workplace. During play, children practice planning, organisational and problem-solving skills. These types of skills are invaluable throughout a person’s personal and professional life. Everybody needs to learn to tackle tasks without being overcome by frustration or despair. Creativity and imagination seem to be natural-born attributes of children because they can take simple toys such as Lego and create elaborate structures or turn a costume into a complex character. Even if it seems innate, creativity is a skill that requires honing into adulthood. The highly creative adults are the innovators of the future. Horse toys have been a staple in children’s stable for generations because many people grow up wanting a horse, but parents couldn’t oblige. 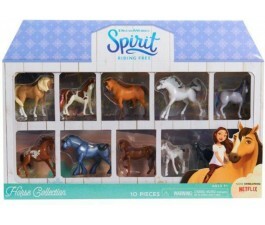 Instead of grooming and riding a live horse, children pretend and learn from model horses. Some people continue their collections into adulthood due to the fond memories of playing with their models during childhood. 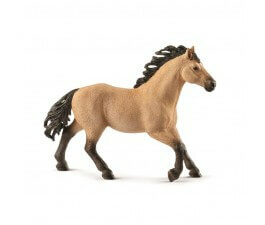 We carry a line of Schleich model horses which are very collectible due to their variety and durability. 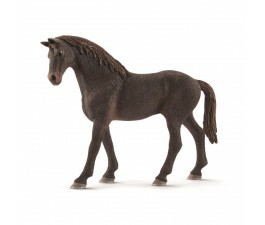 The models include a wide range of breeds such as Pintabian, Andalusian, Hanoverian, and so much more which come with mares, stallions, and foals. When you buy Schleich horse toys for sale, you foster the pretend play in your child and give them a collection they will treasure for years to come. They are so durable they can be passed down to your children’s children. If you would like to buy horse toys or other toys that encourage your child to reap the benefits of pretend play we have an extensive array available online. If you have any questions about ordering or about what types of toys are most appropriate for your child, contact Mr Toys, and our friendly staff will be happy to help you.